October 4 Google event will tease Chrome OS and Android merge codenamed as Andromeda. This event is going to be huge with lots of announcements to be made. Google is going to tease some huge things on its upcoming October 4 event. Pixel and Pixel XL phones are already expected to launch at the event, rumoured to be priced at $649. The latest tweet by Hiroshi Lockheimer, Senior Vice President of Chrome OS, Google Play and Android suggests that something really big can be announced. This tweet may refer to Google’s plan on teasing the long rumoured merger of Chrome and Android OS in the coming event. 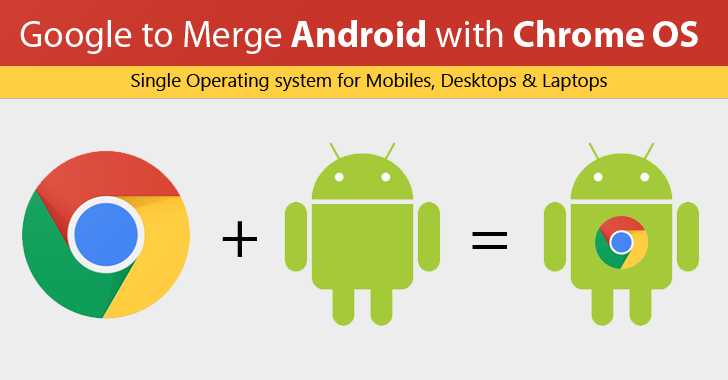 This merge is supposed to be an attempt on Android pushing to the laptop and making it convertible. The project of merging Android and Chrome OS is codenamed as Andromeda. Although the Andromeda project is expected to launch officially next year, the October 4 Google event is expected to feature only the teaser. Google would fold major portions of Chrome OS into Android to push the resultant hybrid Android OS to a place it has failed to catch on – laptops (and similar devices like convertibles or 2-in-1s). So, the Journal made it clear that Google has been planning to merge Android and Chrome OS. They also went on to claim that it won’t be launched before 2017. But, they also said that Google might show off an early version next year. And here we are, waiting for the Andromeda to get announced on October 4. This event is supposed to be a huge one making us more excited because the tweet suggests that it will be historical as it is compared to the origin of Android which happened 8 years ago. This will be the biggest Android-related news as everyone is waiting for a long time to know what exactly is Andromeda about. All thanks to The Wall Street Journal that we at least know the term, Andromeda. As of now, we can just wait for the huge October 4 Google event to know the meaning of Andromeda for Android.